Probably an AD, but I'm using an ad blocker so I don't know if there are ads. I use an Ad blocker too and I've never seen that one or anything like it. Ad blockers preserve your bandwidth for those of us who are internet connection challenged. Some recent stats I saw said that 60% of Americans still didn't have access to full time high speed internet. It's only those in the cities that have it. I have to rely upon broadcast internet and I'm lucky to get 5mb down so I have to do whatever is necessary to make sure I don't waste what little bandwidth I've got. Posting pics directly to this site instead of on photobucket is another way to help all of us and it also preserves the pictures so that later the post doesn't become useless. It's just good manners. I'm supposed to get a high speed wired connection early next year and I'm doing my happy dance every time I think about it. The neighbors think it's weird, but I don't care. Of course I guess it would be better if I put some pants on before I went outside and did my dance. I occasionally get a virus detection warning. I just close the browser and go back in, no issues. Something is triggering the protection software, but false positives are a possibility. 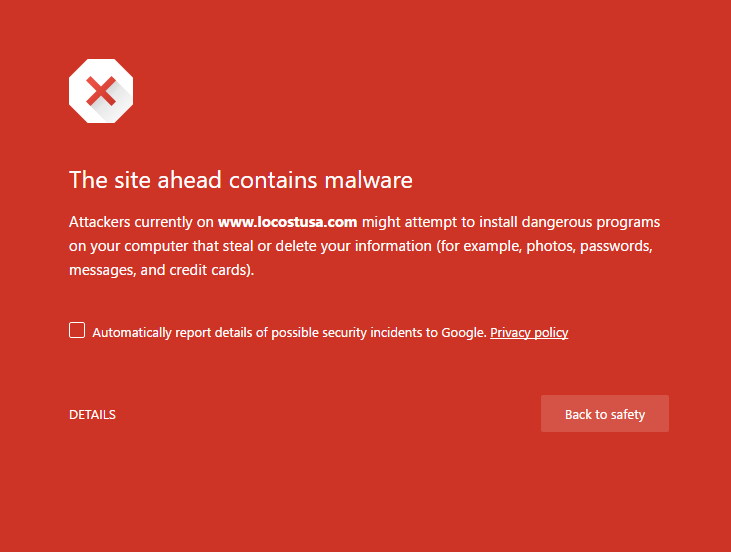 I was getting a similar Google warning screen yesterday - called the forum a "known attack site"!! **Edit: Never mind - I see Dave's on it, and it looks to be fixed! OK, So I feel that my Antivirus/Anti spyware program ( AT&T Internet Security Suite from McAfee) isn't doing it's job as well as some others. I have not seen any of these warnings over the last couple of days. Maybe I should consider changing. What are you guys who saw this warning running? What are you guys who saw this warning running? I don't have any special software just the normal Apple operating system on my MacBook and I was getting the warnings. Thankfully the site is "fixed" and my browser will now let me through as I was starting to suffer from Locost forum withdrawal. To help alleviate the symptoms I rewatched all of the Binky episodes...that helped for a short while. I'm just using Windows Defender on Win10...but it was Google that was rejecting the site, not an antivirus program. Google now seems content, so all is good! I'm guessing there's some sort of hook up with Firefox & Safari because I got my warnings through them. All fixed by dhempy's internet mastery!